The Women’s Cooperative in Cristino Castro has applied for a micro loan. In the 1990’s Rosalba was one of the founding members of the Rural Women’s Group in Cristino Castro. 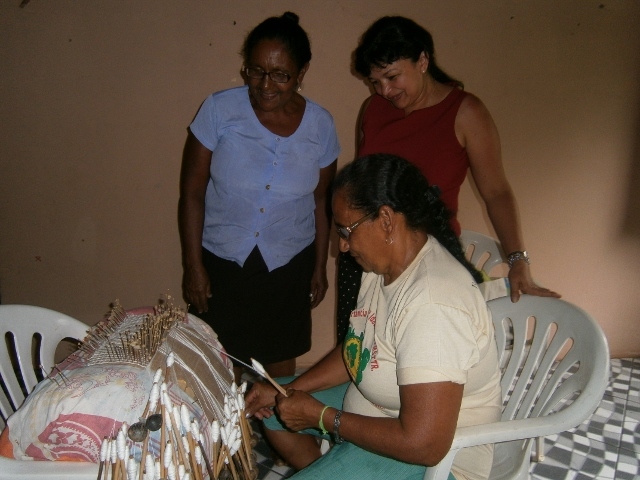 In November 2013 Rosalba and I returned to Cristino and caught up with the group which has now formed itself into a cooperative making crafts to generate additional incomes for their families. The group has recently applied for a small loan to enable them to purchase more materials. The trustees will consider their application at their next meeting in April. Rosalba is delighted that the group is still serving the needs of rural women. With your support we could help more communities like the Women’s Cooperative.